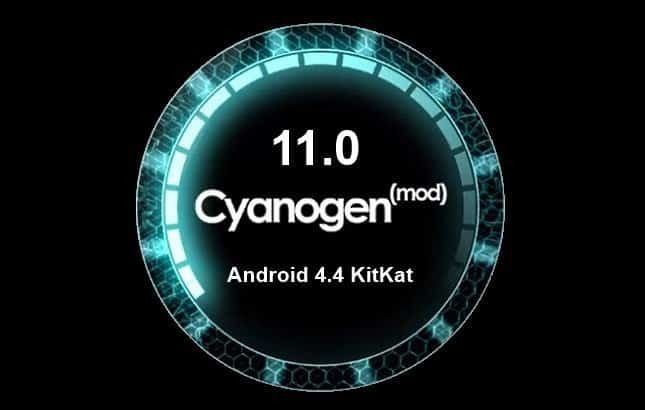 How to install Cyanogen mod on your Moto G? We all know about the Cyanogenmod, which is undoubtedly, one of the best custom ROMs for smartphones, and after a lot of people requested me to post about the process of installing it on their Moto Gs, I have finally decided to write about it, in this guide I will walk you through the process of taking the Moto G from stock to having a custom recovery image and the ability to flash the latest version of CyanogenMod. DISCLAIMER: Modifying or replacing your device’s software may void your device’s warranty, lead to data loss, financial loss, privacy loss, security breaches, or other damage, and therefore must be done entirely at your own risk. No one affiliated with the CyanogenMod project or the iGadgetsworld.com team is responsible for your actions or not liable to pay for any kind loss or damage during the modification of your phone. NOTE: This is a unified build that supports retail (XT1031, XT1032, XT1033 and XT1034) and Google Play Edition (XT1032). Configure your computer for fastboot. If you don’t see your device serial number, and instead see “”, fastboot is not configured properly on your machine. See fastboot documentation for more info. If you see “no permissions fastboot”, try running fastboot as root. Visit the Motorola Bootloader Unlock website and follow the instructions there to obtain your unlock key. Download ClockworkMod Recovery. You can directly download the recovery image using the link below, or visitclockworkmod.com/rommanager to check for the latest version (if your device can be found there). Be careful to select the right image! Connect the Moto G to the computer via USB. Make sure the fastboot binary is in your PATH or that you place the downloaded image in the same directory as fastboot. Open a terminal on your PC and reboot the device into fastboot mode by typing adb reboot bootloader or by using the hardware key combination. Flash ClockworkMod Recovery onto your device by entering the following command: fastboot flash recoveryyour_recovery_image.img where the latter part is the name of the file you downloaded. Once the flash completes successfully, reboot the device into recovery to verify the installation. Boot to recovery instructions: Hold Volume Down & Power simultaneously. On the next screen use Volume Down to scroll to recovery and then use Volume Up to select. NOTE: Some devices do not have removable SD cards. Regardless, there should still be a partition on the device named “/sdcard” that can be used for flashing purposes, even though the contents of /sdcard may actually be in internal storage. If you boot directly to recovery and have an internal sdcard, you may need to run adb shell mount /sdcard or mount data through the recovery menu before transferring. If you see “error: device not found” there is likely a driver issue on the PC. If you see “error: insufficient permissions for device”, try “adb kill-server” and then run “adb devices” to see if the device is attached. On some devices, the zip file can be copied to the device using standard USB Mass Storage or MTP support. Boot the device normally and transfer the file to it. Optional: Place any supplemental packages (e.g. Google Apps or kernel) .zip file(s) on the root of the SD card. Boot to recovery mode on the device by holding Hold Volume Down & Power simultaneously. On the next screen use Volume Down to scroll to recovery and then use Volume Up to select..
Once the device boots into the ClockworkMod Recovery, use the physical volume buttons to move up and down. On most devices, the power button is used to confirm your selection, although for some devices the power button is used as a “back” button to go up one level, in which case the home button is used to confirm the selection. Optional/Recommended: Select backup and restore to create a backup of the current installation on the device. If this option is missing, it’s likely because the stock ROM has overwritten your custom recovery on boot. Optional: Install any additional packages you wish using the same method.